Please click here to view this newsletter in your web browser. The team of the IRG presents you its news and best wishes for 2015. The IRG announces the birth on June 20, 2014, of IRG-C (IRG-Consultance), a sole shareholder simplified company. As sole shareholder of IRG-C, the IRG wanted to anticipate and find a formula that under its accounting and legal plans would enable it to perform advisory and support activities for its partners. The goal is to operationalize the proposals, methods and ideas developed by the IRG. IRG-C will also help to refine the analyses and tools of the IRG from a perspective of public policy development. 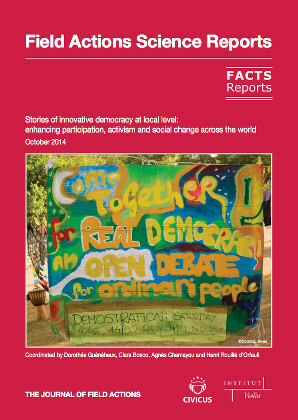 “Democratic innovations: reshaping public governance?” in Démocratie participative et bonne gouvernance dans le monde, RESOLIS #2 (in French) and FACTS Reports (in English). 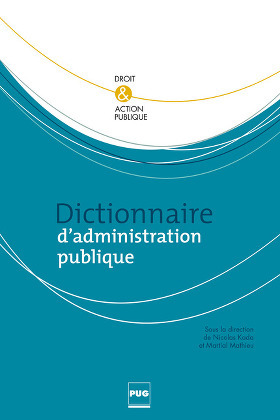 “Gouvernance publique” (Public governance) and “Légitimité” (Legitimacy), in Dictionnaire d’administration publique, N. Kada and M. Mathieu (Dir. ), Presses Universitaires de Grenoble (PUG). 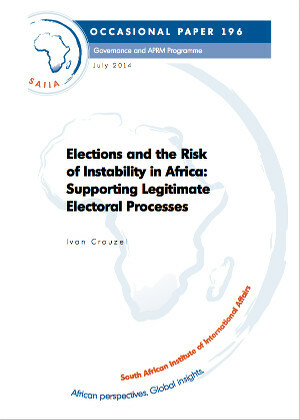 “Elections and Risk of Instability in Africa: Supporting Legitimate Electoral Processes”, SAIIA Occasional Paper 196, August 2014 (in English and French). Case studies conducted for the IRG in the framework of the International Group for Reflection and Proposals for a Plural Approach to Constitutions (GIC). The GIC proposes to start from the premise of the diversity of sources of power legitimacy to define an approach to a pluralistic definition of public action. These studies provide a descriptive analysis of different arrangements of management or non-management of diversity, which enabled the GIC to feed its cross-disciplinary thinking. “Taking stock of the African Commission on Human and Peoples' Rights” (in French). • Viewpoint – As part of the new edition of the Chronicles of Governance to be issued in January 2015, the IRG will offer during the first half of the year a series of video interviews on the issues of responsibility at the time of multi-stakeholder public action. • Food governance – The IRG and the International Urban Food Network (IUFN) have partnered in a research program on the “Governance of food system(s)”. It will focus on better understanding the complexity of public action on food matters and rethinking the modes of sustainable food governance rooted in the territories, and linked to broader scales. For more information: see the page on this activity. • The IRG participated in the citizen debate initiated by the program “Le Point Rouge de la démocratie participative à Paris”, moderated by John Paul Lepers and produced by LaTéléLibre, with the participation of Pauline Véron (assistant to the Mayor of Paris, responsible for local democracy, citizen participation, associative life, youth and employment), Carine Petit (Mayor of the 14th district of Paris), neighborhood council representatives, artists and residents of the 14th district. This citizen debate allows to discuss in particular the recent participatory budget of Paris introduced by the Mayor of Paris, Anne Hidalgo. [Photo : LaTéléLibre]. • Conducting a comparative study on “citizen control of parliamentary activity in Mexico, Colombia and France”, supported by the deputy of the French from Latin America. Many citizens’ initiatives in monitoring and control of the legislature were born in Latin America (Congreso Visible, Foro por Colombia in Colombia; Fundar in Mexico). 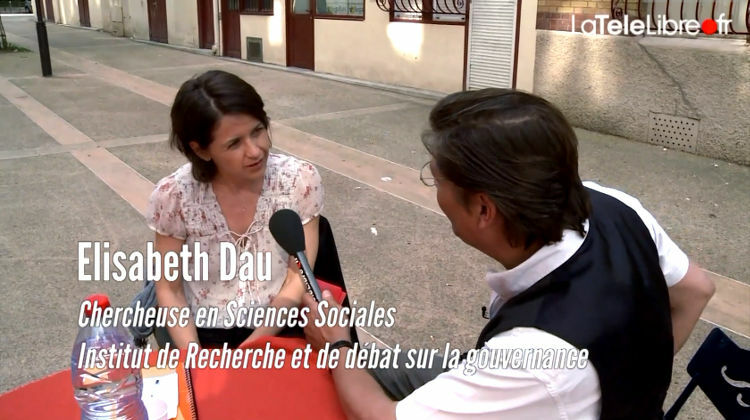 Moreover, in France, blogs, websites and think tanks have been launched on the monitoring of Parliament. The IRG identifies these experiences and makes an analysis of the effects of this citizen control over legislative action. The study will result in a report to be published by the IRG. • Continuation and completion of the capitalization of the program “Transparency for Development and Peace in Colombia” of the European Union (2012-2014). This initiative focused on the dialogue between state and non-state actors in the development of local anti-corruption public policies in three departments of Colombia. The IRG is currently drafting a cross-sectional analysis (capitalization) of the entire project and has created the database of the project collecting over 500 documents (teaching anti-corruption tools, methods of citizen control and public dialogue, etc.). • Co-organization of a Latin American meeting on “Citizen Control of Public Action: What Impact?”, held on November 12 and 13, 2014, in Bogotá, Colombia, with the Externado University, Transparencia por Colombia, the French Regional Cooperation in South America and the Embassy of France in Bogotá. Latin American and French representatives of civil society, elected officials and researchers exchanged on the impact and purpose of citizen control actions, especially in terms of the co-responsibility of actors in public action. A summary and a film of the meeting will be available online [Photo: Pascal Delisle, President of the IRG © French Embassy in Colombia]. • Completion of the study by the IRG on the pivotal role of the National Contact Points of the OECD Guidelines for Multinational Enterprises, as a multi-stakeholder process of co-production and co-responsibility of public action. Researchers and practitioners contributed to feed the analysis of the implementation of this mechanism and its impact on public action. The lessons learned will enable the development of operational proposals to the various actors in the definition and implementation of social responsibility. • Coordination, capitalization and drafting of the summary report of the 5th Conference on Joint Cooperation of the Rhône-Alpes region (27-28 June, Annemasse and Lyon, France). 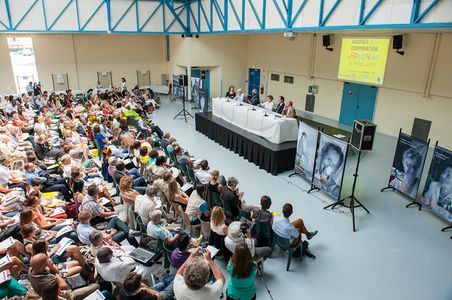 The IRG coordinated the preparation and execution of the conference on the occasion of a co-production process that mobilized the Rhône-Alpes actors and their international partners for several months. This resulted in the capitalization of joint cooperation practices by the latter. The conference brought together 750 participants and 70 speakers from 13 countries. It was an opportunity to discuss the territorial approach to sustainable human development based on social innovation. The summary report (soon available on our website) reflects the discussions conducted during the two days and offers prospects for the future regional joint cooperation around the regional territory as a strong link between globalization and humanity [Photo © Marc Châtelain - Rhône-Alpes region]. • The IRG participated in the official closing session of the Conference on Joint Cooperation of the Rhône-Alpes region, in Annemasse and Lyon, France, 27-28 June, 2014. • The IRG also hosted 6 workshops during the Conference: From local to global: what articulations? Joint cooperation: what impacts here and there? The regional territory: relevant level of development? Enhancing and developing the competences of territories; Coordinating the actors of joint cooperation; Acting in a crisis. • The IRG moderated a Round Table on the Role of the State in Mining-Energy Governance, at the Externado University of Bogotá, Colombia, August 15, 2014. • The IRG presented on citizen control and its impact on co-responsibility in public action at the meeting on “Democracy, Citizen Participation and Public Policies”, organized by the Catholic University of Asunción, Paraguay, October 13 and 14, 2014. • Completion of the first volume of the series “Practical Methodology of Political Legitimacy” entitled “Mapping of Legitimacy to Rebuild the State”. Building on more than seven years of crossing experiences and analyses, the IRG offers an approach designed to help those involved in public governance to work on the legitimacy of the State, a key vector of effective public governance. Bringing together experts from different geographical and professional backgrounds, this book provides a mapping of the sources of State legitimacy in practices. How to take the various sources of legitimacy in a given context? How does this diversity manifest itself? How does it interfere with the State and public governance? • Preparation of the publication of the last 6 case studies as part of the work of the International Group for Reflection and Proposals for a Plural Approach to Constitutions (GIC), initiated and coordinated by the IRG and which puts forward a new approach to managing the diversity of regulations for a legitimate democratic governance. • The IRG has co-organized with the Institute of Human Rights (IDH) of the Grenoble Bar the international conference “French criminal justice through the prism of legitimacy: for an effective criminal justice at the heart of the social contract”, on 1 and 2 July, 2014, in Grenoble, France. Over two days, the conference brought together 100 participants, including international visitors and students. It will result in the publication of a discussion paper on the vectors for a rebuilding of the French criminal justice. • The IRG was heard by the information mission “Francophone Africa” of the Foreign Affairs Committee of the French National Assembly, on November 26, 2014. • The IRG presented on the challenges and issues of the search for a constructive relationship of dialogue of legal cultures on matters of fundamental rights, on 16 and 17 December, 2014, at the conference “Legal pluralism and human rights”, co-organized by the universities of Bordeaux and Ottawa. • The IRG is pleased to announce the release in January 2015, by Editions Charles Léopold Mayer, of its interdisciplinary and intercultural review on governance. 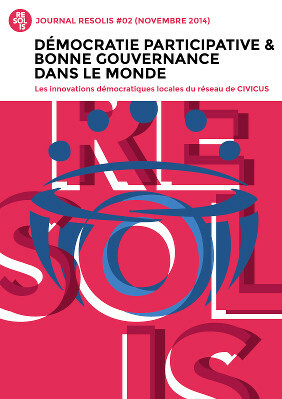 In this 2015 edition of the Chronicles of Governance, the IRG would like to propose a reflection on the challenges and prospects involved in the multi-stakeholder exercise of public action, around the question “All responsible?” Intellectuals, politicians, journalists and representatives of civil society from different geographical areas (Europe, Africa, Asia, and Latin America) share their perceptions and analyses of trends and issues on this topic. • As part of the activities of IRG-C, an evaluation of the cooperation between France and Africa in the field of statistics is conducted on behalf of the Ministry of Foreign Affairs and International Development and the National Institute of Statistics and Economic Studies (INSEE). • IRG, “Tous responsables? Chroniques de la Gouvernance 2015” , (All Responsible? Chronicles of Governance 2015), Editions Charles Léopold Mayer, Paris, January 2015. • Bellina S. (Dir. ), with the collaboration of Muller M., “Cartographier la légitimité pour refonder l’État, Méthodologie pratique de la légitimité politique” (Mapping of Legitimacy to Rebuild the State, Practical Methodology of Political Legitimacy), vol. 1, Karthala, Paris, January 2015. • Bellina S. (Dir. 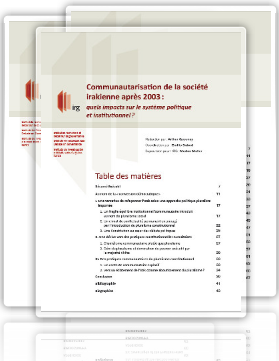 ), with the collaboration of Muller M., “Promouvoir la légitimité de l’État pour une gouvernance démocratique effective” (Promoting State Legitimacy for Effective Democratic Governance) (provisional title), “Méthodologie pratique de la légitimité politique” (Practical Methodology of Political Legitimacy), vol. 2, Karthala, Paris, June 2015. • “Law and institutions of the AICT, element of comparatism” in “International action of territorial communities, public policies in research”, Proceedings of the Grenoble conference, December 2013, Cités Unies France (CUF). • “The legitimacy of power in the North Africa region: Algeria, Egypt, Libya, Morocco, Tunisia”, proceedings of the Tunisia conference, International record of debate and proposals on governance, January 2015. 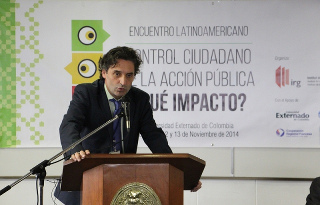 • “Citizen control of public action: what impact?”, summary of the meeting co-organized by the IRG in Bogotá, Colombia, in November 2014. • “French criminal justice through the prism of legitimacy: for an effective criminal justice at the heart of the social contract”, summary of the conference co-organized by the IRG in Grenoble, France, in July 2014. • “Plural approach to inter-ethnic conflict resolution and integral articulation of the regulatory framework in the Andean Zone: Colombia, Ecuador and Bolivia” (in English and Spanish). • Studies coordinated by the IRG on citizen control of parliamentary action in France, Mexico and Colombia. • The IRG will participate in the publication 2015, “Supporting Governance Reform: Putting good ideas into practice” of the Development Cooperation Directorate of the Organization for Economic Cooperation and Development (OECD).